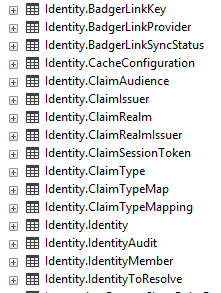 At times when you troubleshooting something in K2 you need to identify process having only process instance ID and frequently knowledge of the solutions and workflow is a missing part (developer is away on vacations or , in the worst case scenario, nobody even knows if there was a developer in the first place 🙂 ). As a sample scenario, you can think of troubleshooting failed process escalation or process instance which stuck in Running state. Let’s look at this in more details. 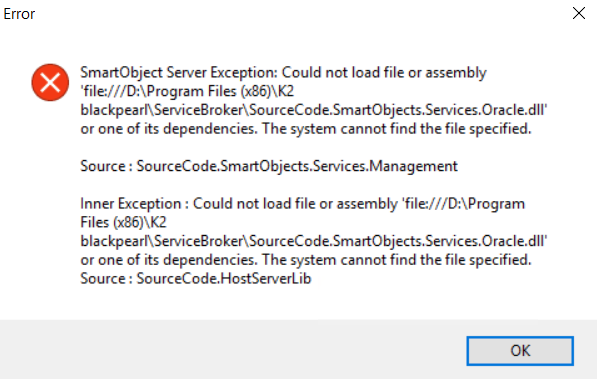 For failed escalation you will definitely have error in K2 host server log and entry in K2 Server.Async table – that will give you ProcInstID value, and your next steps are: A) Find out which process this instance belongs to and B) Status of this instance. 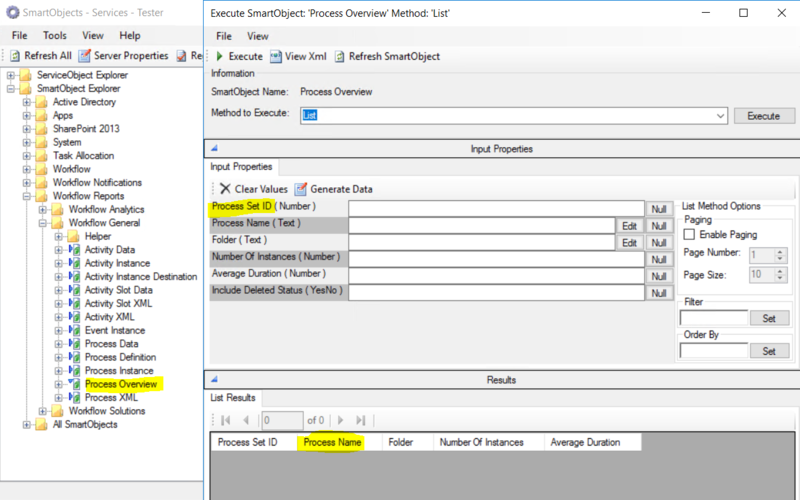 Finding (B), at least if your process is in error state is easy as it supposed to be listed in Error Profiles View where you can retry error and also see Process Instance ID and process name. 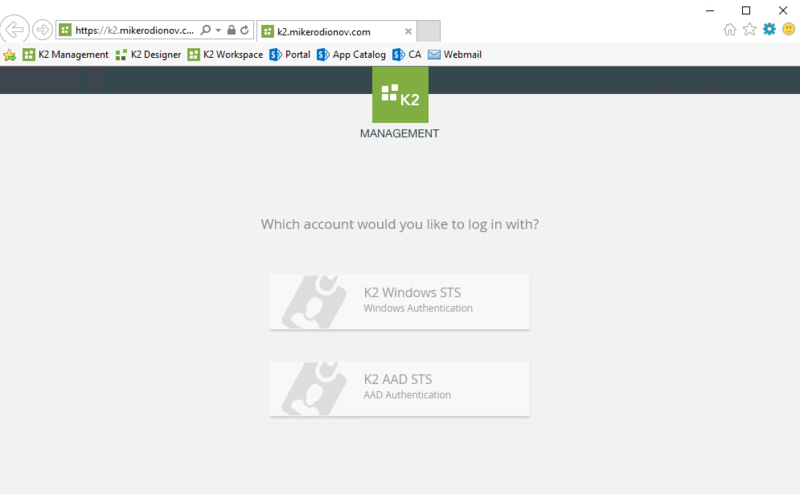 This entry was posted in How-to, K2, Tech and tagged K2, Process Instances, Process Name on October 23, 2018 by Mikhail. 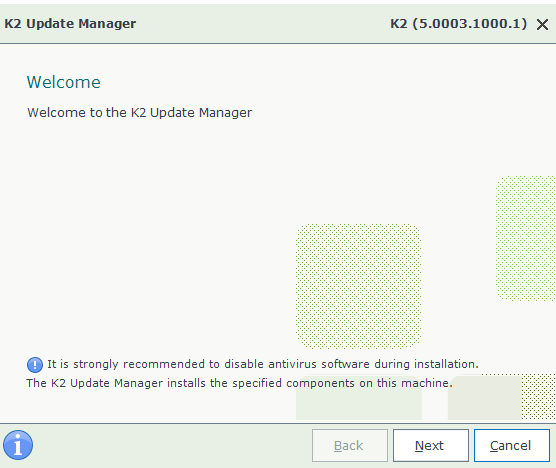 Today 17.10.2018 K2 5.2 went into GA stage meaning news about release were sent to all clients and partners and starting from now we can download this new and shiny version from K2 portal. So it is a perfect time to do a little review. Without further ado let me start with this. 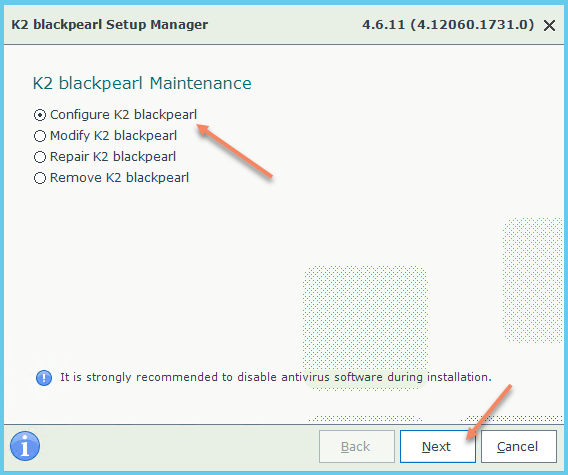 Splash screen provides you with essential information (.NET 4.6.1 requirement, where to run an so on) and allows you to kick off installation process (conservative people like me can still locate Setup.exe and run it from Installation folder). 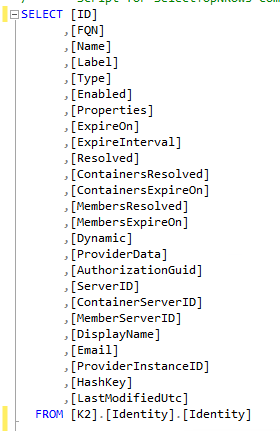 Long story short with all these changes and new sync engine enabled your Identity cache sync speed will be greatly improved and, for example, even your URM Get Users SmO call against Azure AD label can be served from cache without doing query to AAD. There is more improvements and new features and I will try to cover them in greater details a bit later. This entry was posted in K2, Tech and tagged K2, K2 5.2, Sync Engine on October 17, 2018 by Mikhail. 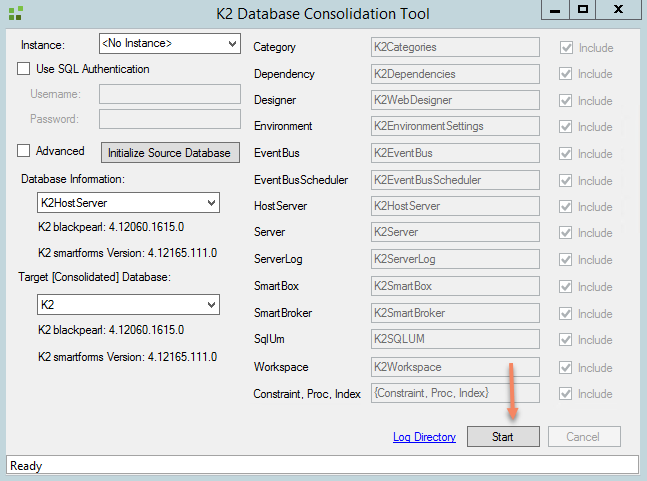 Purpose of this blog post is to outline K2 databases consolidation process using K2 Database Consolidation Tool. When you may need it? 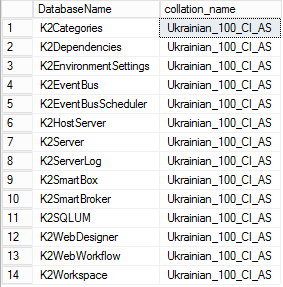 For older K2 deployments when initial installer used to create 14 separate databases instead of one “K2” database we expect to see with current K2 versions. 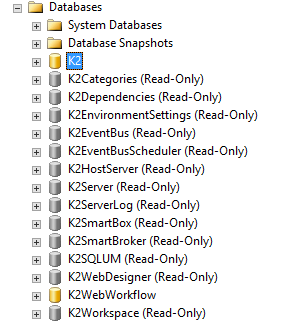 Such environments even after upgrades to newer versions carry on to have these 14 databases and only starting from K2 4.7 databases consolidation is enforced and you cannot upgrade till you consolidate your databases into one. 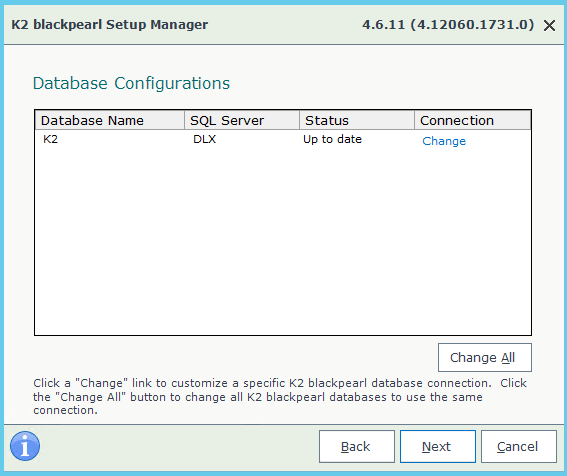 So you can still see non-consolidated K2 database en environments which run any version of K2 up to 4.6.11 including. 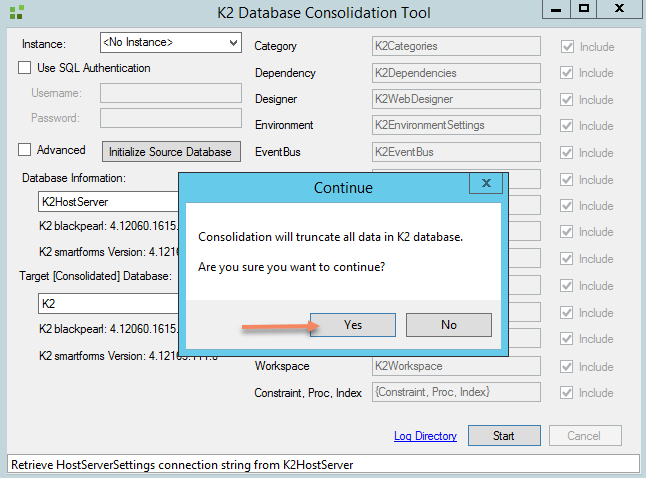 To perform consolidation of these 14 K2 databases into one you need to obtain appropriate version of K2 Database Consolidation Tool from K2 support. 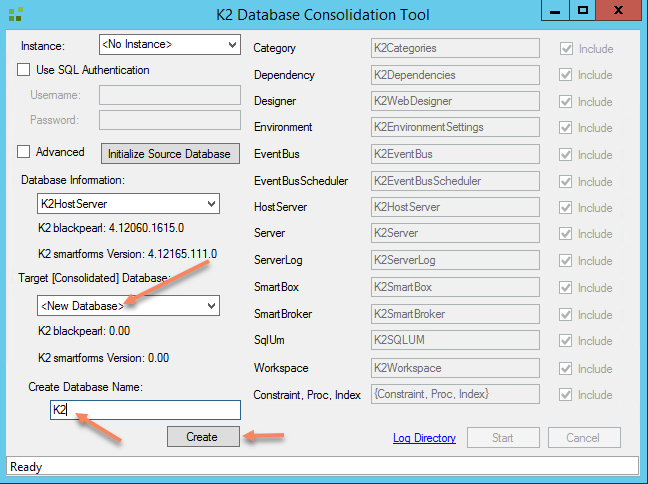 Below you can see basic steps you need to perform while performing K2 databases consolidation using this tool. 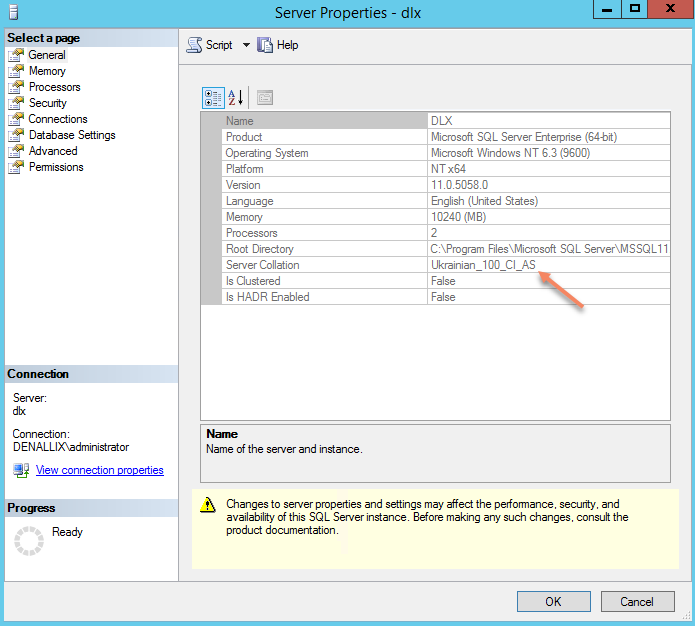 and copy your non-consolidated databases to the target server which will be hosting consolidated database (unless it is not the same server which was hosting them initially). 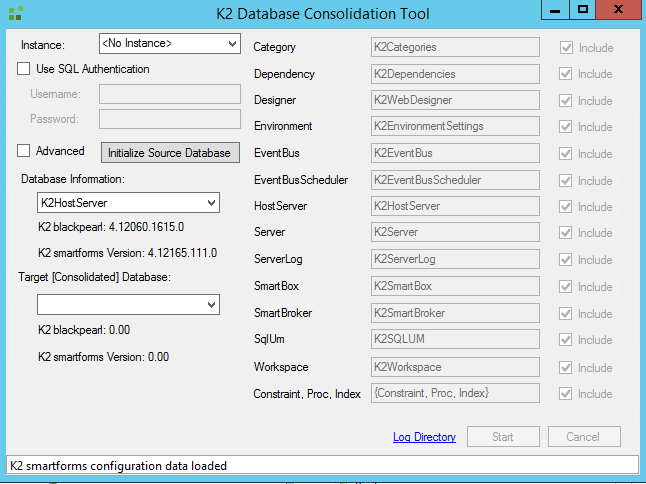 Once you clicked on next you will have to wait for a while till consolidation completes (in the bottom of the tool window in its “status line” you will see current operations which are being performed during databases consolidation process. Time which is necessary to complete this process is heavily depends on your server performance and volume of data in your source databases. 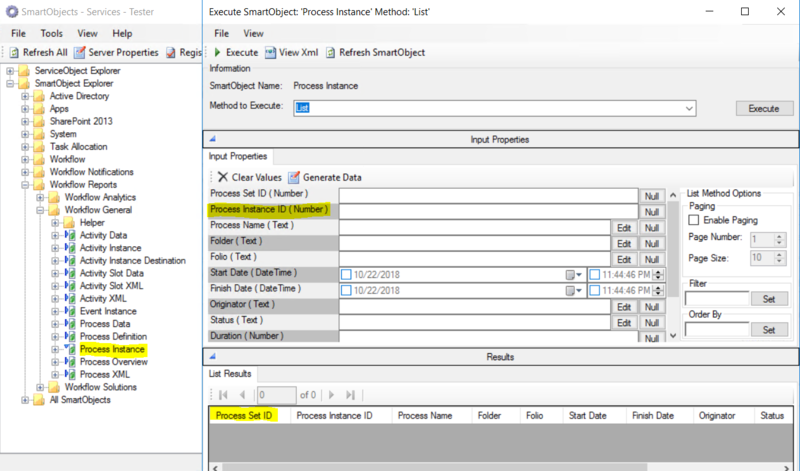 In such scenario you need to review consolidation log to identify and address errors and once done. Switch your source databases back to RW mode (as explained here), delete your target database and start again from step (2). When consolidation completes successfully source non-consolidated databases also stay in read-only mode. You can also click on Log Directory link which will open consolidation log file location – as usual you can open it and make sure than neither ‘Logged Warning’ or ‘Logged Error’ can be found anywhere in this log beyond Legend section in the beginning. 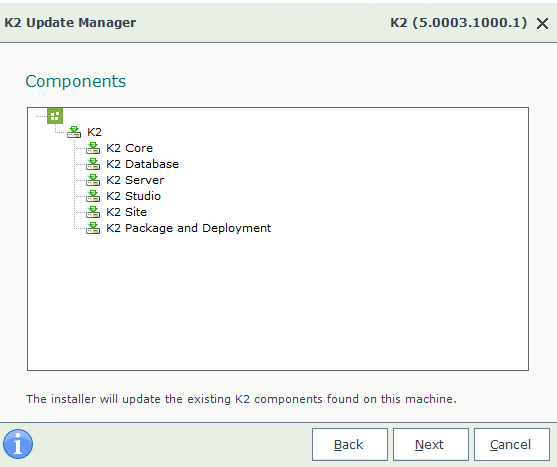 Once reconfiguration process is completes (without errors and warnings) you can start testing how your K2 environments behaves after K2 consolidation process. 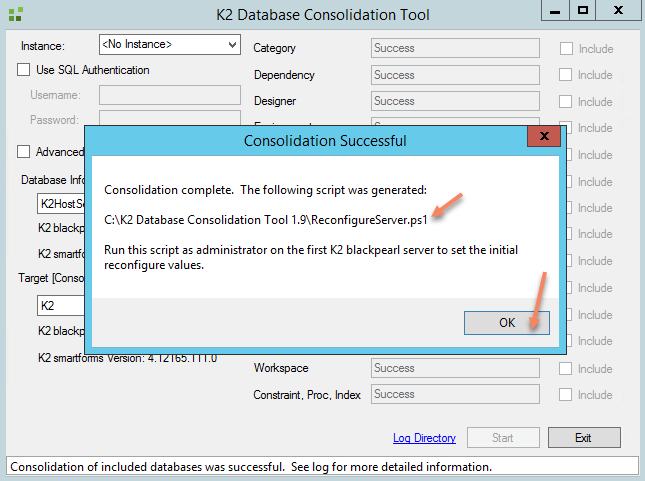 This entry was posted in How-to, K2, Tech and tagged consolidation, K2, SourceCode.Database.Consolidator.exe, SQL on May 18, 2018 by Mikhail.